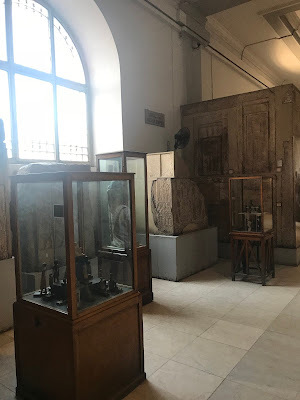 When I first traveled to Egypt in the 1990’s, I was surprised to find that I was drawn to the storied Egyptian Museum--though for reasons different than those of many visitors. 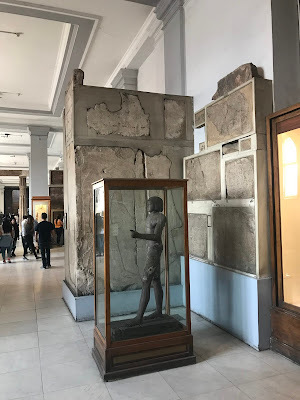 The museum was unlike any other I’d seen: ancient baskets, tools, sculptures, tools, ceramics, and all sorts of other relics were stacked—sometimes haphazardly—on crowded wooden shelves, cabinets, display cases, and even the floor. It was as if the archaeologists of a century earlier had carefully emptied the piles of riches from tombs and excavation sites and hurriedly transferred them to the Beaux-Arts storage facility. The place is a captivating combination of Indiana Jones’ private collection and a dusty, treasure-packed museum from a different century. While museums across the world modernized during the second half of the twentieth century, creating dramatic displays featuring high tech visual and lighting touches and placing collections behind glass and within hermetically-sealed, secure display cases, the Egyptian Museum changed little. The museum is a Beaux-Arts relic housing a vast collection of ancient Egyptian antiquities—the largest in the world. The museum isn’t just full to the rafters with treasures; it’s also full of atmosphere. Casement windows stand open to the dust, heat, and the sound of calls to prayer of chaotic Cairo. Stairways and passageways show the passage of time and wear from the feet of millions of tourists. Shafts of golden sunlight, alive with glowing bits of dust and sand, dance in the air currents. The museum isn’t too cleaned up or too sterile—and that’s exactly what I like about it. I saw the King Tutankhamun exhibit when it traveled to Chicago in the late 1970s. Massive crowds clustered around a sampling of the tomb’s artifacts which stood behind thick glass or housed in cases. I didn’t realize at the time that I was seeing only a small sample of the tomb’s treasures. 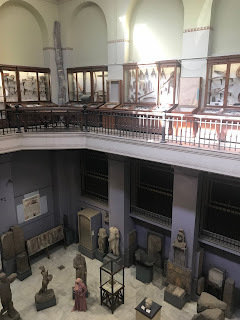 At the Egyptian Museum, however, the entire, massive collection is spread among many rooms. 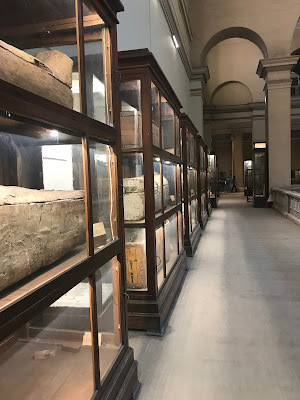 And while the temptation can’t be seriously entertained, it’s possible to touch many of the items here and to bring your eyeball within inches of the artifacts. 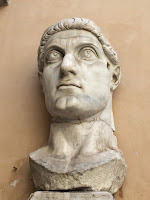 You can inhale the dust of pharaohs and people who lived two, three, even nearly four thousand years ago. And you can get your eyeball within inches of tools, pottery, baskets, and other items they used. But all of this will be changing very soon. Within the next year or so, a giant new museum will open near the pyramids in Giza. This new museum, years in the making, will house all of the Egyptian antiquities, including many that have been in storage due to space limitations at the crowded Cairo museum. While the modern museum will be a masterpiece of design and provide enough space to display more antiquities, it will no longer provide a snapshot of an earlier era or offer opportunities to come face to face with ancient statues and artifacts. 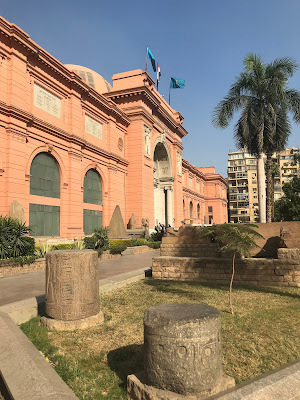 So make a trip to experience the Egyptian Museum as it’s existed since it’s opening in the early 1900’s. But hurry--it's days are numbered. Planning a visit? Your Egypt Tours provides expert guides and custom tours of the entire country. A few dozen years ago the world was chock full of bland chain hotels. For travelers looking for lodging with a sense of place and style, options were limited. A Four Seasons or Hilton in Frankfort resembled a Four Seasons or Hilton in Honolulu. And non-chain, smaller, and independent hotels were few, particularly in the U.S. These days, there are lots of spots that reflect the cities, neighborhoods, or villages they inhabit. Quirky, small, historic, or unique, these hotels celebrate where they are, tempting you to never go further than your cozy room or handsome lobby. While this is hardly an exhaustive guide, here are a few of my favorite small spots that offer something the large chains cannot—character, tranquility, and style with a sense of place. For more than ten years I’ve made a pilgrimage to Guatemala’s Lake Atitlan, a highland lake seemingly scooped out of the collapsed caldera of an ancient volcano. You can see hundreds of images of the immense lake, its jewel-blue waters dominated by conical volcanoes looming in the background, but still be unprepared for your first view of it. A view of Lake Atitlan from La Fortuna. 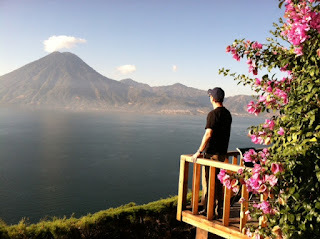 For many years I stayed at Lomas de Tzununu which perches high above Atitlan and boasts jaw-dropping views. 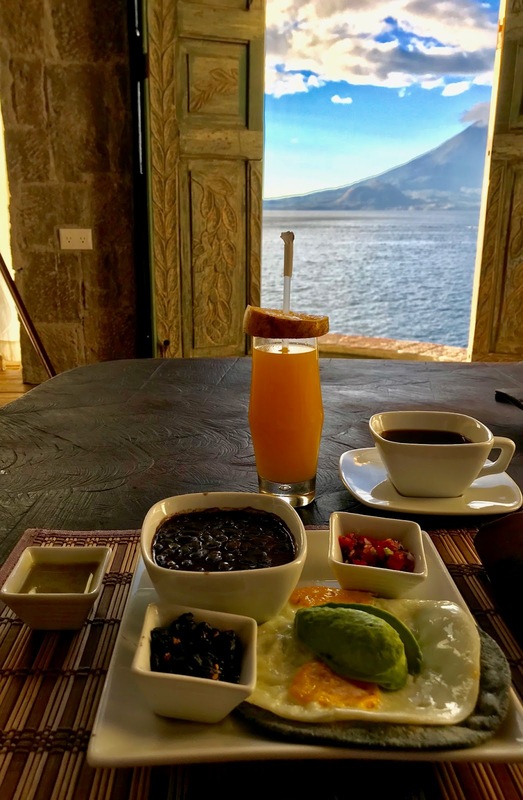 Recently, I returned and stayed at La Fortuna Atitlan, a newer hotel tucked into a thicket of trees between the lakeshore and the steep, jungle-clad walls of the caldera behind it. La Fortuna offers a handful of casitas—all with lake views. No two casitas are alike, though all offer al fresco bathrooms with showers open to the tropical sky. Patios and terraces serve as well-designed perches from which to soak up the lake views, birdwatch, or eat breakfast. Speaking of breakfast, the meal (delivered to your room) is best enjoyed on the terrace in the company of the volcanoes, benevolent sun, and birdsong. For dinner, reserve a spot at the communal, candlit table in the lodge for conversation and tasty meals (you’ll forget you’re off the grid and far from the nearest village reachable only via boat). 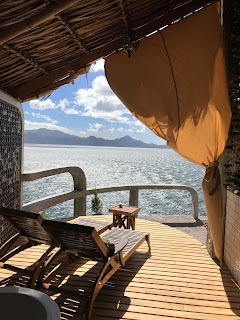 Even if rooms don’t come with views of an immense lake, Mayan Inn in the market town of Chichicastenango is one of my favorite hotels in the world. 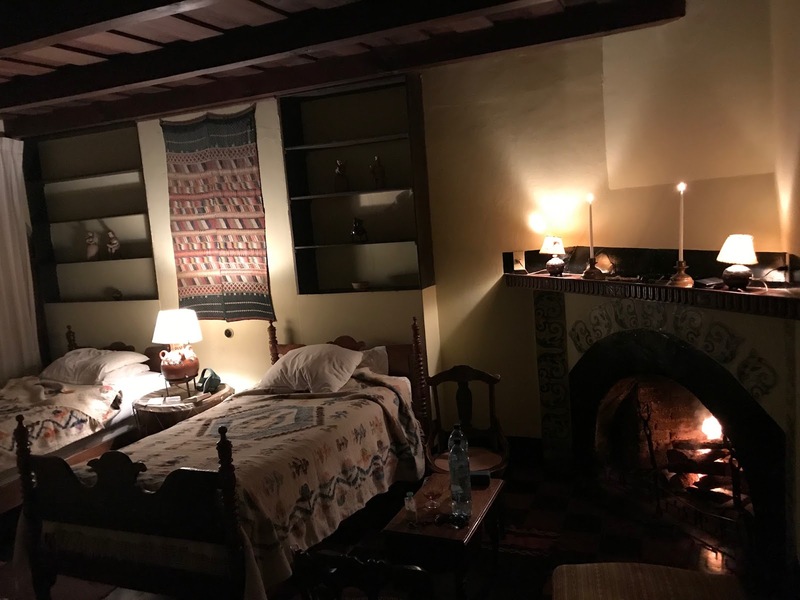 Adorned with antiques and paintings, bucketsful of charm, and old fireplaces that burn brightly at night when you’re likely to feel the chill of highland nights, the hotel is a pleasing holdover from nearly two centuries ago. To wit, if bright lights, Wifi everywhere, and modern bathrooms are your thing, Mayan Inn will not be your thing. 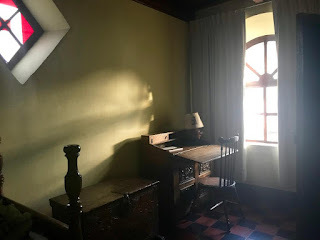 But if you’d like to step back in time to experience a hotel that’s changed little since tourists first arrived here in the early 1900s, this is a place to visit. Rome’s legendary and historic Hassler sits like a crown jewel at the top of the Spanish Steps. While it might seem an odd and perhaps cliché choice, its inclusion on this list makes sense if you book rooms in the hotel’s dependency’s rooms. Sitting just below the Hassler, the dependency consists of a small collection of rooms clustered around a narrow, winding stair hall adjacent to the Spanish Steps. Take the steps up and you pop out on a private roof terrace with some of the best views in the area. Take the stairs down and you’ll exit onto a crowded pedestrian street that provides access to this historic quarter. Worried about noise? Insulated windows shut out most of the street sounds, though you can easily swing open the windows for views and to welcome in the hurly-burly of the popular neighborhood. Surprisingly spacious rooms, decorated in whites and muted tones, marble, and silk, resemble hushed, heavenly oases. Our bathroom’s small window even afforded a picture perfect view of Santissima Trinità dei Monti, the iconic church that sits atop the steps. Take breakfast in one of the many nearby cafés or restaurants or trek up to the Hassler mother ship for a gigantic buffet. No other hotel in the world is quite like the Athletic Association because no other hotel is housed in a former private club designed to resemble a grand palazzo in Venice. 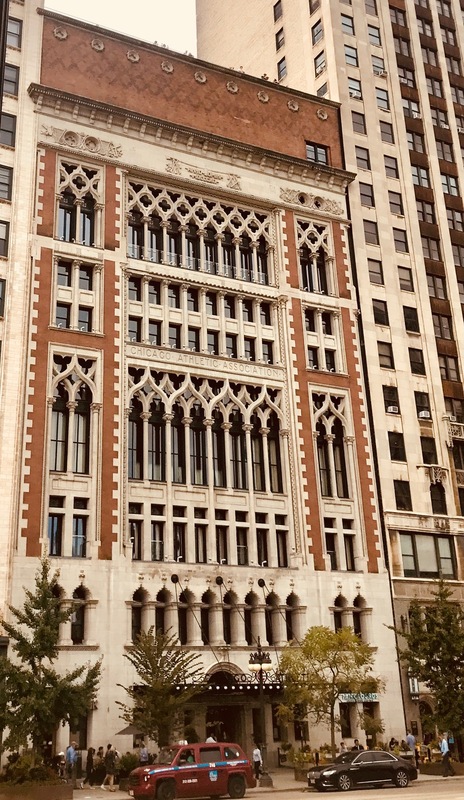 With its intact Venetian Gothic windows (that peek over Michigan Avenue, Millennium Park, and deep blue Lake Michigan in the distance), the hotel’s public areas and rooms prompt giddy confusion: am I in an historic palazzo on the Grand Canal or visiting America’s third largest city? The cavernous lobby with original architectural features including arches, massive stone fireplaces, and coffered ceilings is the perfect spot for a cocktail. More serious eats in an equally inspiring setting can be found in the Cherry Circle Room restaurant (reservations recommended). Designed by Bill Bensley, Shinta Mani and its corridors, courtyards, and rooms reflect careful consideration of every element—no plant, piece of furniture, fountain, or candle is out of place. Laid out using feng shui principles, the hotel represents the antithesis of chain hotels with their cookie cutter layouts. Inside, an atmosphere of Zen pervades. Fountains bubble, birds chirp. Small garden courtyards echo with the sounds of silence. 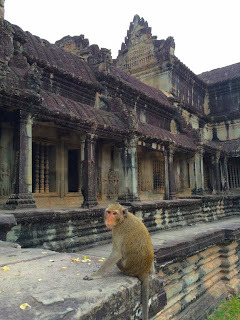 If there’s a downside to Shinta Mani, it’s that you may be tempted to never leave the spa-like, serenity-soaked spaces of its rooms or its public spaces, If you must leave—and you must because the temples of Angkor Wat beckon—when you return exhausted from climbing ruins and hiking through jungle in the tropical heat, you can fall asleep with images of Angkor Wat depicted in dimly-lit ceiling insets above your bed. 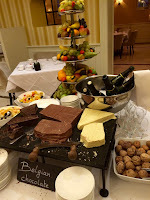 Belgian chocolate--part of the breakfast buffet at Dukes' Palace. 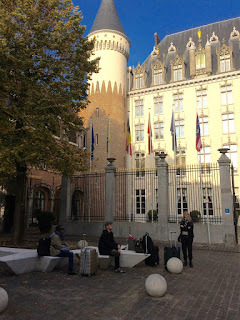 The tourist-clogged, storybook streets of Bruge can overwhelm, particularly in high season. And that’s the perfect reason to choose Dukes' Palace which sits in a sleepy corner of the historic district. High ceilings, grand stairways, and sitting areas fit for a duke (if not for a king) provide this former palace with atmosphere unmatched in other area hotels. For more space and privacy, book one of the semi-independent cottages facing the garden at the property’s rear. For a step back in time (tasty Belgian brews included), check out what may be the world’s oldest bar on a sleepy side street in a residential neighborhood: Cafe Vlisslinghe. TIP: Don’t skip the Duke’s buffet breakfast which includes Belgian chocolate and champagne. 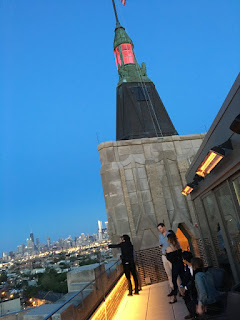 One of the Robey's rooftop terraces. For years I admired a flatiron shaped, monumental building in the heart of Wicker Park and thought it would make an interesting hotel. As it turns out, so did a Mexico City-based hotel group. 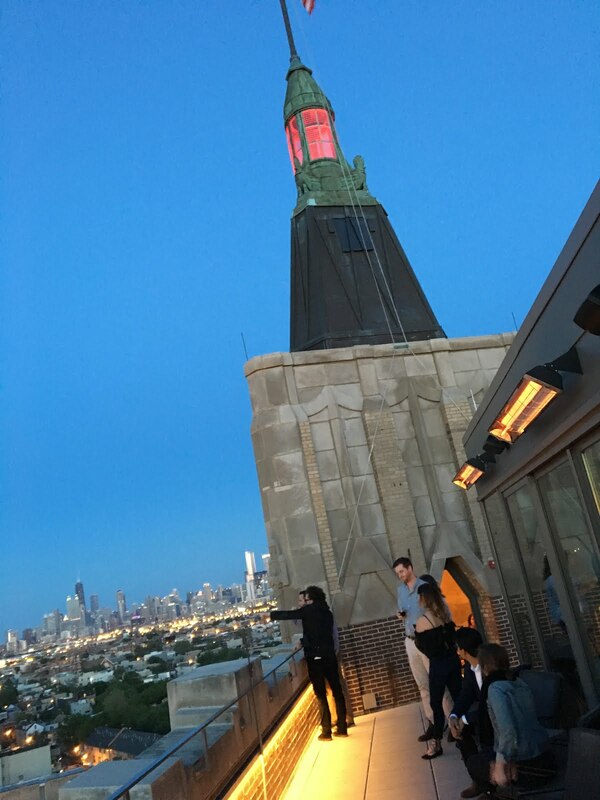 A few years ago, this art deco gem was transformed from an office building into The Robey, a quirky, relaxed hotel that offers easy access to O’Hare, the Loop, and most importantly, the boutiques, restaurants, and bars of one of the most interesting neighborhoods in the world. Urbane, comfy rooms offer striking views of the surrounding neighborhood and Oz-like downtown skyline. In warm weather, two terraces offer views that will cause architecture fans to geek out. Tasty cocktails help to digest the views. Antiques abound at Guatemala's Mayan Inn. 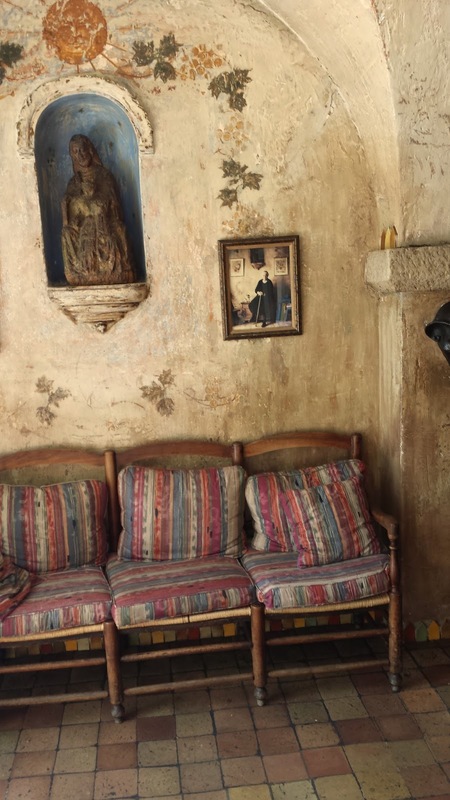 Rooms at the Mayan Inn come with fireplaces--and a dedicated attendant. And the river was low which was causing our rickety wooden boat to run aground. Often. 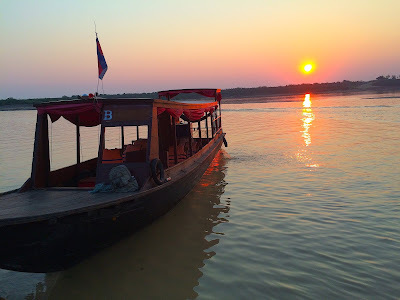 We were attempting to travel from Battambong to Siem Reap, Cambodia on a vessel we dubbed “The African Queen” as it offered all the charm and comforts of that fabled boat. The trip was scheduled to last around four hours, but ended up taking nine. And much of the delay was caused by our boat’s hull playing kissy-face with the river bottom. The drivers and passengers of nearby boats, as well as the countryside’s kids swimming in the Kahlua-colored river, pushed us through the shallow spots. But the going was slow and we fell far behind schedule. When we finally pulled into the dock near Siem Reap at sunset, we were sore, tired, sweaty, thirsty, dirty—and anxious to arrive at an oasis: our hotel. For around thirty-minutes we drove on a winding, undulating road through Siem Reap’s dream-like neighborhoods full of flowering jacaranda, ginger, heliconia, and bougainvillea while faint clouds of dust glowed pink in the setting sun. We hadn’t even reached our hotel and already we breathed a collective sigh of relief; we’d arrived. At the Eden-like entrance to Shinta Mani, hotel staff met us with mint and lemon-grass-flavored water and cool, jasmine-scented towels. Just inside, glasses of champagne waited. 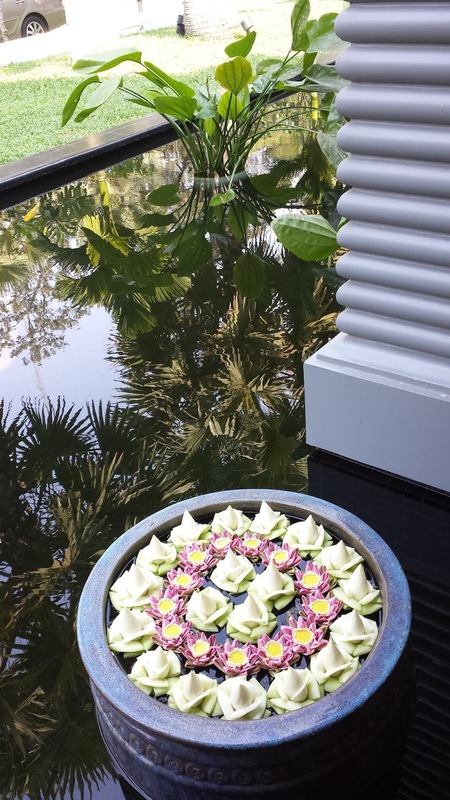 To reach them, we walked through open-air passageways decorated with sculptures, orchids, lotus arrangements, reflecting pools, and fountains. 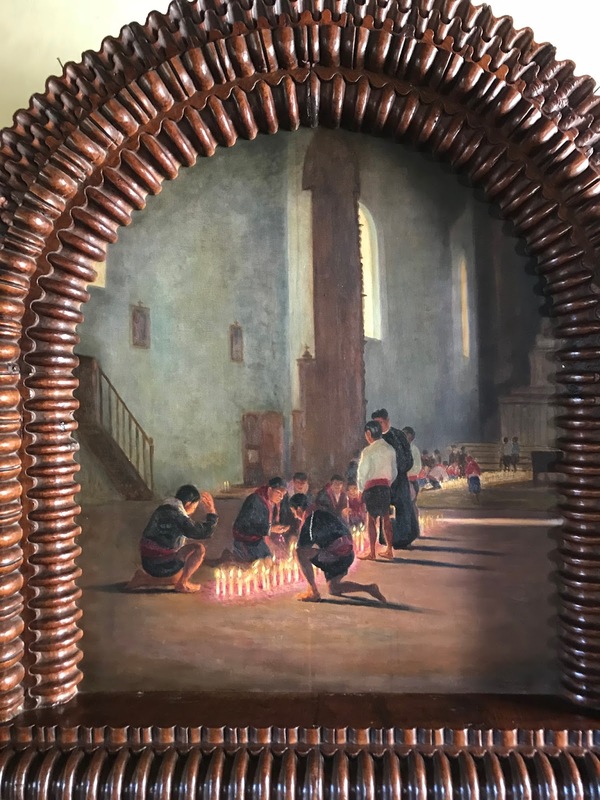 Large oil paintings, glowing candles, and lush tropical flower arrangements—works of art themselves—filled the walls, corners, tabletops, and nooks. I could have stopped at a half dozen tranquil spots and sank to the polished floor to take a nap or assume child’s pose. But we had yet to arrive in the candle-lit reception room to check in and then to wander more pristine passageways before we ultimately arrived in our refined rooms. 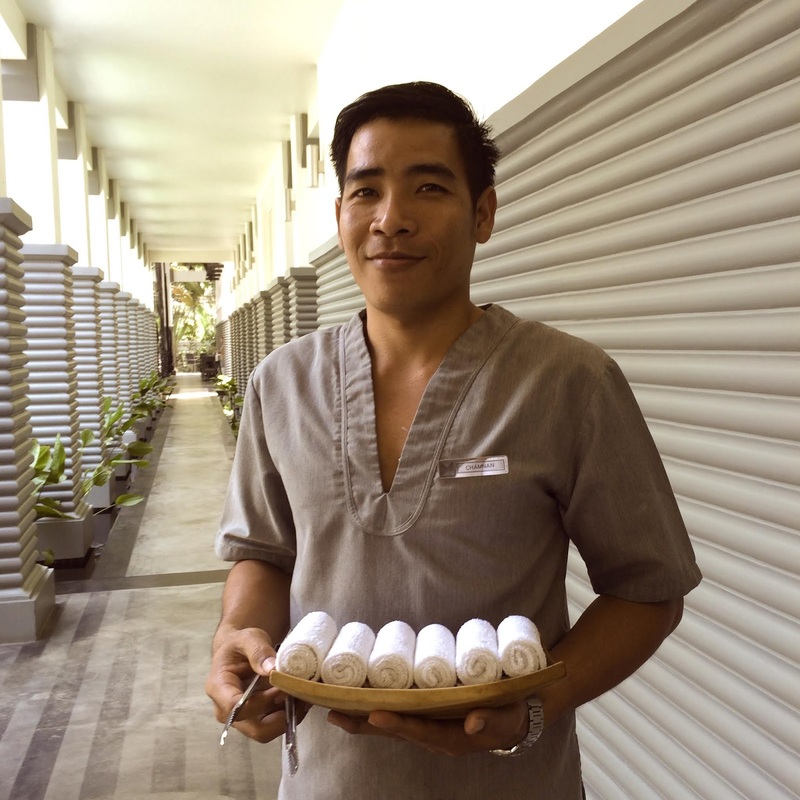 While we had traveled to Siem Reap to visit Angkor Wat, we soon realized that our hotel was a worthwhile destination on its own. Designed by Bill Bensley, the hotel’s corridors, courtyards, and rooms reflect careful consideration of every element—no plant, piece of furniture, fountain, or candle is out of place. Laid out using feng shui principles, the hotel represents the antithesis of chain hotels with their cookie cutter layouts. Every element of Shinta Mani seems unique and of the place. Just a block away, a major thoroughfare is full of the roar of tuk-tuks, buses, and motorcycles. Inside Shinta Mani, though, an atmosphere of Zen pervades—no noise permeates the walls and green fences. Fountains bubble, birds chirp. Small garden courtyards echo with the sounds of silence. In the rooms, arrangements of tropical flowers and fruits doubles as a work of art (and they’re refreshed at least daily). 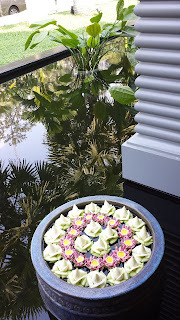 Sunny mornings, sublime and tranquil, are marked by hotel staff who sit cross-legged on a raised platform in the stair hall and speak in hushed, melodic tones as they assemble the lotus and tropical flower arrangements that decorate the public spaces and rooms. 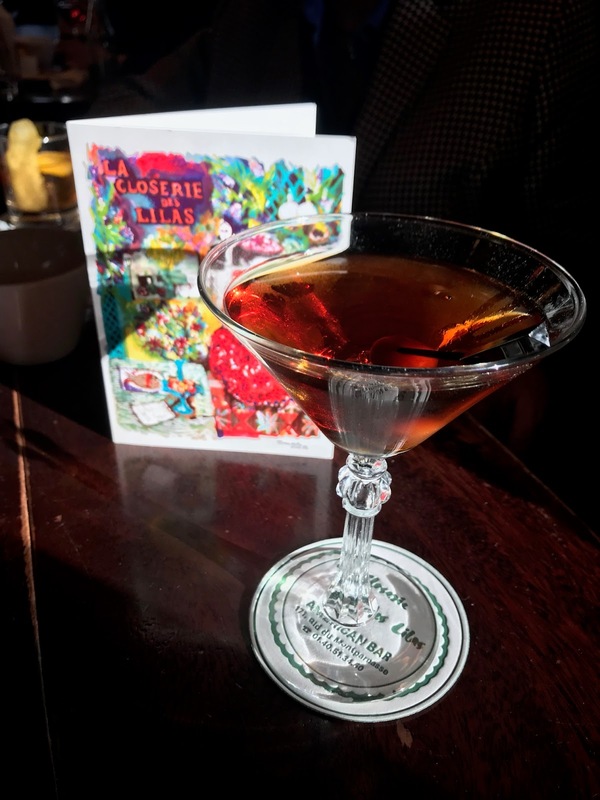 A perfect Manhattan at La Closerie. Those forward-thinking cities that were early adopters of cocktail culture often boast classic and historic bars. Of course, some spots are tourist traps and others serve cocktails that don’t match their reputation. 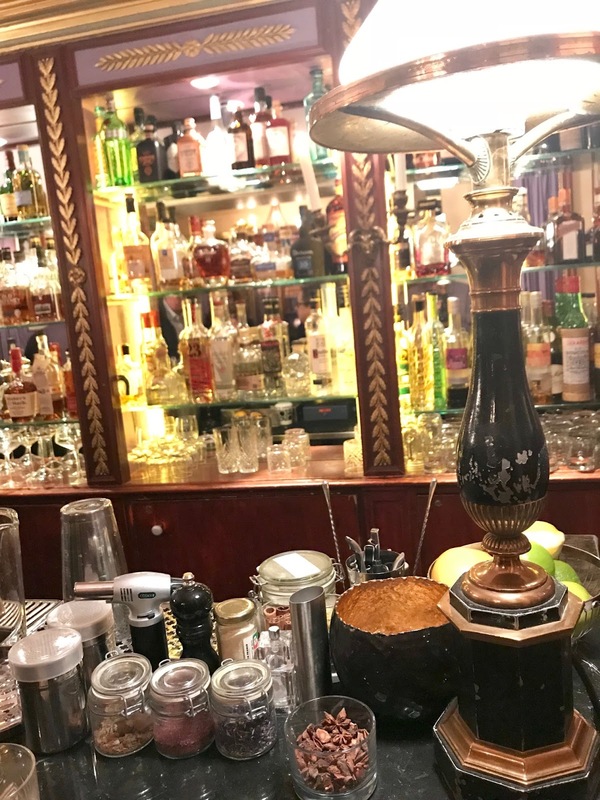 In the case of Paris, though, the city has been mixing drinks for more than a century and boasts several bars worth a visit—or two. Montparnasse is a bit removed from the main sites of Paris, so plenty of tourists don’t bother to visit. And that’s their loss. 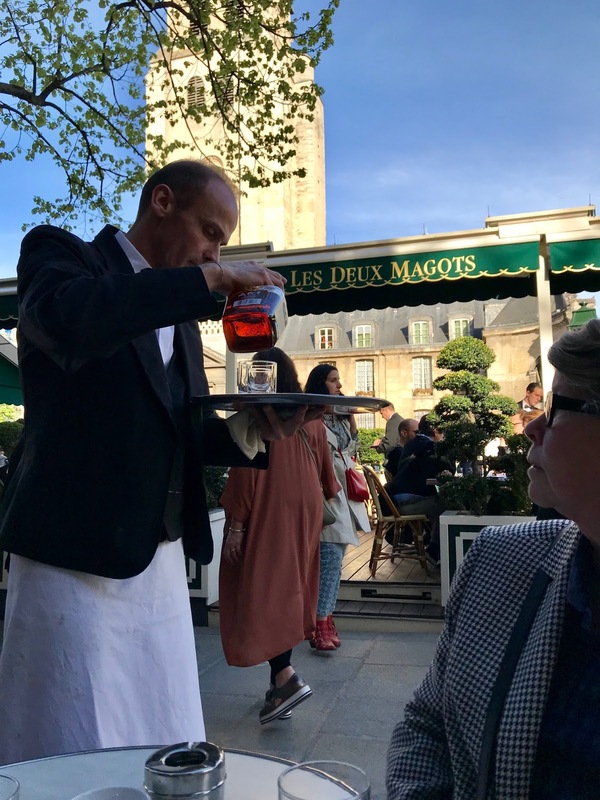 During a recent trip to the historic La Closerie Des Lilas in Montparnasse, we lucked out as the garden lilacs, the restaurant’s namesake, were blooming and filling the courtyard, bar, dining room and brasserie with their sweet scent. And, while they weren’t fragrant, camellias, azaleas, tulips, and daffodils in the entrance garden lent an air of enchantment to the spot. F. Scott Fitzgerald's spot at La Closerie. Though charming, the courtyard garden—where Lenin played checkers and Hemingway probably pontificated—aren’t the main attraction. No, many come for the bar, a haunt of literary luminaries including F. Scott Fitzgerald and Simone de Beauvoir and artists such as Picasso (look for brass nameplates on bar tables to see where your favorites sat). All this history comes with a side of expertly-prepared cocktails. From April through August, the last golden rays of daylight shine all the way into the bar, casting the whole place in a timeless, ethereal glow. Warning: Bowlfuls of old school, house-made potato chips and green olives accompany drink orders, but may prove addictive. Most people think of this historic spot for breakfast or a café au lait with a shot of serious café culture. But Deux Magots also serves cocktails and offers one of the best seats in the city for watching a parade of Left Bankers stroll past. Waiters at Deux Magot dress for work. On a recent trip, we visited at cocktail hour and the place was packed with regulars, office workers, and tourists. Comfortably seated in classic café chairs just off busy Boulevard Saint Germain, we ordered Old Fashioneds which were poured tableside with a flourish by a poised, black suit-clad waiter. 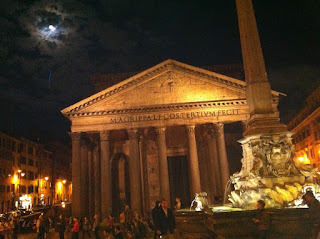 On a mild April night, we people watched, sipped our perfect cocktails and enjoyed a storybook view of the medieval, stone-clad Saint Germain church across the square. It’s said that when Paris was liberated from the Nazis, Hemingway celebrated with a drink at the old bar at the Ritz on historic Place Vendôme. To Hemingway, Paris was back to normal when cocktails were once again being shaken and stirred in the marble-clad rooms of the old hotel. At cocktail hour, a waiter ceremoniously opened large doors, revealing two intimate rooms with a handful of low, petite tables, a half dozen bar stools, and a smaller room up a few stairs. Memorabilia and ephemera—in some cases seemingly and in others obviously—associated with the Oak Park, Illinois writer fill the walls. What the place lacks in space it makes up for in ambiance—well, and prices (most cocktails are 30 euro and higher.) Despite a wait for entry and elevated prices, I’m glad I went, though I’m not sure I need to return. Le Bar's well-equipped, well, bar. Tucked into a sleepy backstreet in the Latin Quarter, the storied L’Hotel and its intimate, posh bar offer a welcome retreat from the hurly burly world outside. More luxe and discreet than the Ritz, L’Hotel’s bar offers cocktails that are nearly half the price of those at the Right Bank Hemingway haunt, but every bit as tasty. If you can swing the adjacent Michelin-starred restaurant, Le Restaurant, book a table well in advance. If you’re doing drinks and dinner, you may as well consider staying the night. The 20-room L’Hotel is the smallest five star hotel in Paris. Having provided rooms for Oscar Wilde, Princess Grace and Elizabeth Taylor, the hotel might be the perfect spot to rest your head after exploring Paris’ cocktail couture. For travel junkies, the world is full of iconic, mythical destinations. Maybe we read about them in novels or travel magazines, or perhaps we heard an author or famous actress talk about a visit to the spot during an interview on a talk show. Wherever or however we heard about them, they captured our imagination. 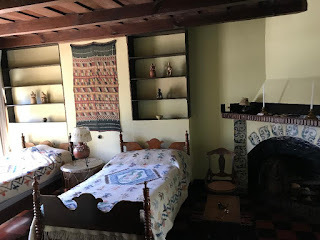 In the early 80s, several years before I took my first trip to Europe, I read about such a place, a restaurant housed in a cozy inn near Nice. 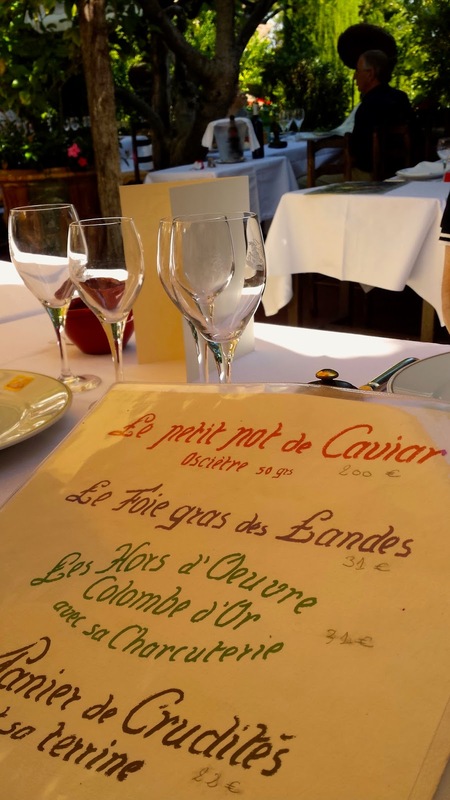 The restaurant, La Colombe d’Or, sat on the edge of Saint-Paul de Vence, a sleepy Medieval village perched on a mountaintop overlooking the Mediterranean. 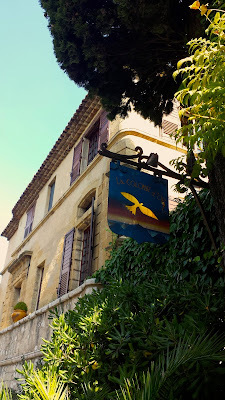 The inn was the haunt of Picasso and Matisse, Chagall, and Miró, and many others. During the day, the artists soaked up the warm Provencal sun, played boules on dusty courts, and sipped chilled rosé. In the evenings, they gathered around candlelit tables for wine-soaked dinners, philosophizing, and exquisite food served by hotel founders Paul Roux and his wife Baptistine. Because many guests were struggling artists (at the time, anyway), they paid their bills in artwork—paintings, sculptures, and watercolors. Instead of hanging the art in their own home or selling it, Roux and his wife displayed it throughout the inn and restaurant. When I first traveled to Europe as a college student, I was traveling with a backpack and staying in pensiones and small hotels—some of which didn’t even offer hot water. I thrilled at the sense of adventure, the concept that everything I needed was in my front pocket and, to a lesser degree, in the pack I carried on my back. 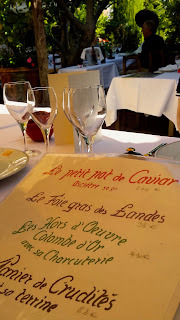 But during those first trips to Europe, I couldn’t even remotely consider a dinner at a place like La Colombe d’Or. “Someday,” I told myself. And that day eventually came. Vence. Unbelievably, a group of men stood in the square playing a game of pétanque. Seriously? Had the local tourist council paid them? We strolled around the charming but touristy village, admiring the views down to the deep blue Mediterranean which sparkled in the late morning sun, and then explored the narrow cobblestone streets. 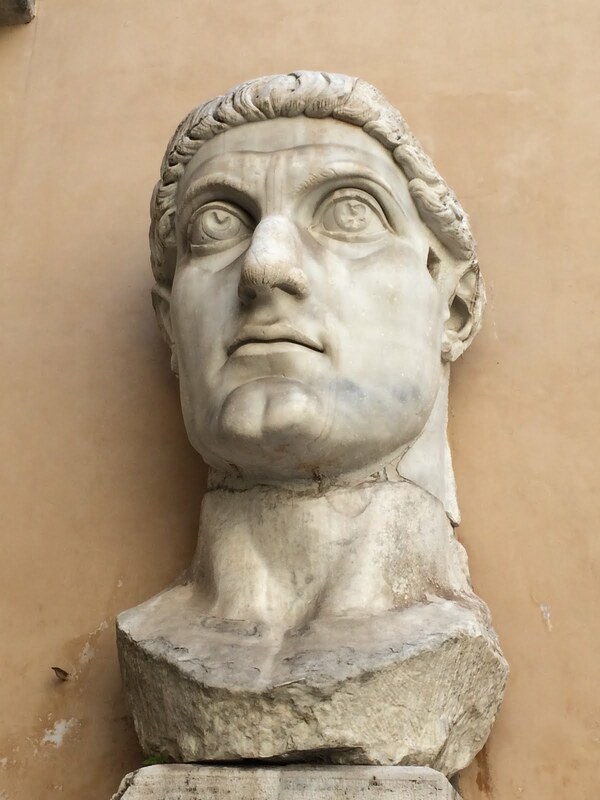 As noon approached, we slipped through the unassuming garden gates of La Colombe and found ourselves in an enchanted world—a courtyard crowded with white-clothed tables, creamy market umbrellas, ivy-covered stone walls, and sculptures. Lunch began—as it should—with cocktails: bubble-riddled golden champagne and fiery-orange aperol spritzes. We watched the terrace fill with foodies, destination tourists much like ourselves, fashionistas from Paris, and lucky locals looking for a good lunch. Maybe we were projecting, but the atmosphere was celebratory, not stuffy. Kids at a nearby table were never hushed and when we tragically spilled a glass of sancerre, not an eyebrow was raised. Sure, the prices were above average, but the attitude and atmosphere were casual. We sat in the benevolent shade of an umbrella on that warm afternoon, chewing on crusty bread smeared with local pâté. And as the sun shifted and waiters jumped to reposition umbrellas, we sipped champagne surrounded by sculptures made by modern masters. And things only got better after that. The lunch menu didn’t overwhelm with options. Instead, a sampling of French classics were the rule. And why would you want it to offer anything else? After dining on oysters from Brittany, delicate Sole Meunière, au gratin potatoes, roasted asparagus, and boeuf, we wandered around the inn. Just beyond an unassuming doorway off the restaurant courtyard, we found a marble-topped front desk with nearby seating that overlooked a verdant, overgrown garden which plunged down the mountainside. Further inside a pool and terrace tempted us to linger. Or stretch out and take a nap. 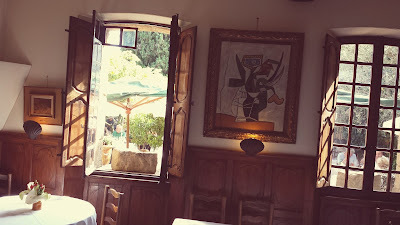 And finally, we wandered through a few adjoining rooms in the classic restaurant—its walls crowded with original oil paintings and water colors. One room featured a large fireplace that conjured up images of crisp winter nights, candlelight setting the rooms aglow, and a roaring fire providing heat. But with its verdant garden and mullioned windows overlooking the sublime courtyard, Colombe d’Or in my view is best visited in warm weather months. 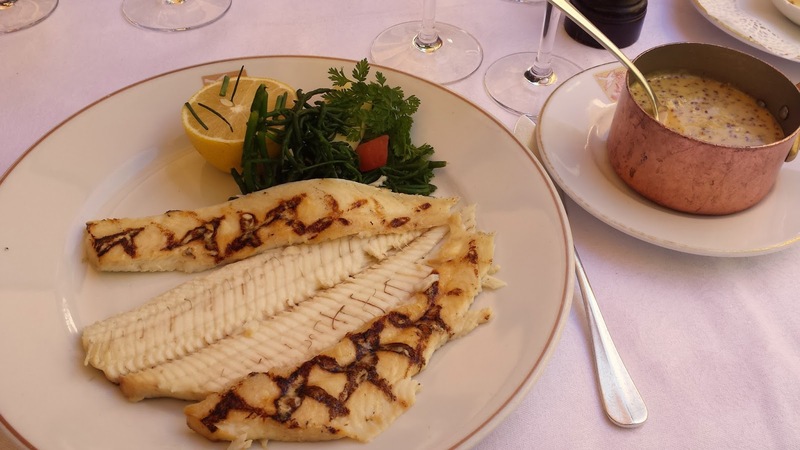 La Colombe d’Or represents a restaurant from a bygone era—in the best way. Made famous by artists, writers and actors, the restaurant and inn were destinations because they served great food and their walls were crowded with masterpieces of modern art that painters and sculptors used to pay their bills. 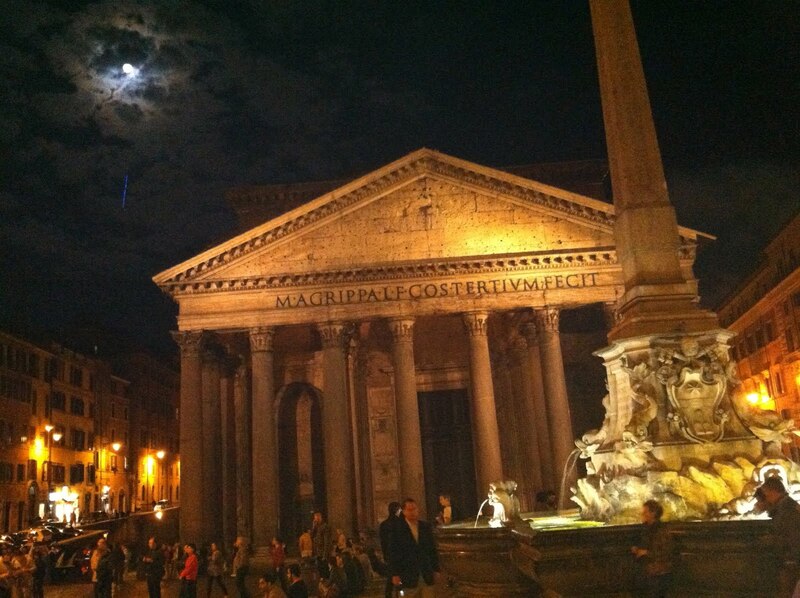 For a lover of art, history, culture, and cuisine, there’s no other spot on the planet that compares. 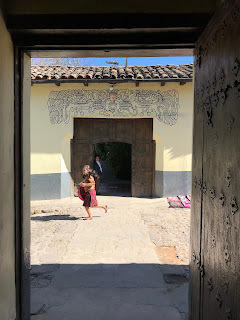 Despite the presence of bland chain hotels in even some of the most remote corners of the world, there remain thousands of small, unique hotels tucked onto narrow lanes or hidden in quiet quarters of cities and villages. 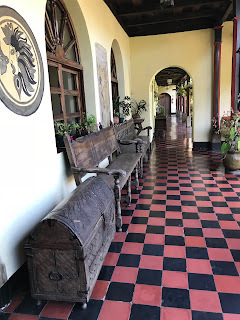 During a recent trip to Guatemala, I stumbled across just such a hotel in the highland village of Chichicastenango. 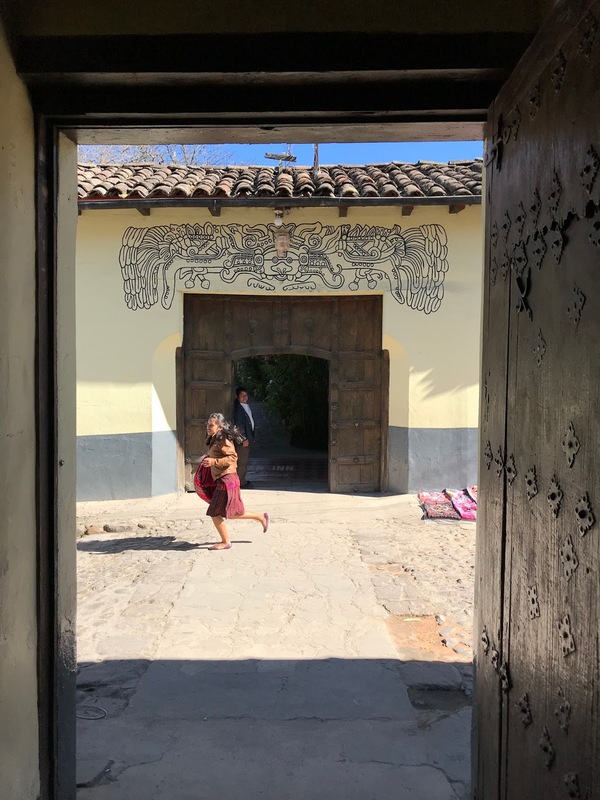 Somehow I’d taken multiple trips to this culture-rich country and well-known market town without finding the one-of-a-kind, charm-filled Mayan Inn. Tucked behind one of the two elevated white-washed colonial churches that serve as iconic bookends in the village center, the Mayan Inn is quasi-museum, part cozy Central American inn, and complete time-capsule. Opened in 1932, the inn is crammed with antiques and original oil paintings and has changed little in intervening days. Housed in a former monastery, the hotel has several bougainvillea-framed courtyards, shady loggias, and bubbling fountains. Best of all, each room offers a fireplace and an attendant who will build and stoke the fire. Nights can be chilly in the highlands, but a blazing fire along with thick, locally-made, fuzzy wool blankets on the beds will make you swear off warm nights in the Tropics. Need your fire built or stoked, want some fresh water, or need more towels? Press a clunky, metal button above your bed to summon an attendant assigned to your room. Until a few years ago, rooms didn’t even have locks, but were watched by the attendant. These days, rooms have deadbolts, but attendants remain. It might be tempting to spend your whole visit in the friendly confines of the hotel. Don’t. Steps away you’ll find the massive craft and food market, historic, unique churches which combine Mayan and Catholic traditions, and the colorful cemetery which includes functioning Mayan temples. 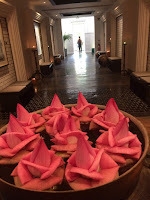 It took me several trips to this otherworldly market town to find the Mayan Inn, but it’s on my radar now. And next time I plan to stay longer. Bonus: An old school bartender shakes and stirs classic cocktails in the high-ceilinged rooms of the bar. A blazing fire can be set at cocktail hour and original oil paintings provide apt and fitting pairings for the expertly-crafted old school cocktails. 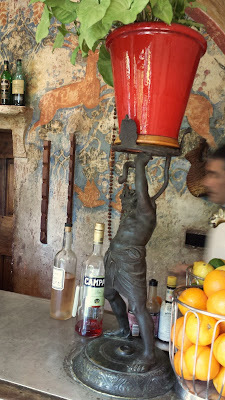 For afternoon drinks, ask the bartender to set up a table in the shady loggia overlooking the garden. Cautions: Vintage bathrooms are spotless, but might not be to everyone’s liking. If you’re looking for a throwback experience that can’t be duplicated anywhere else, stay here. Details: Rooms are around $100/night. Basic, non-gourmet meals are served in an airy dining room which also has a fireplace and daytime views of a garden and the surrounding countryside.